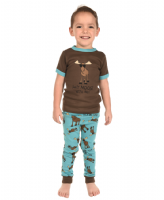 Boys will love wearing this adorable moose pj set from Lazy One®. 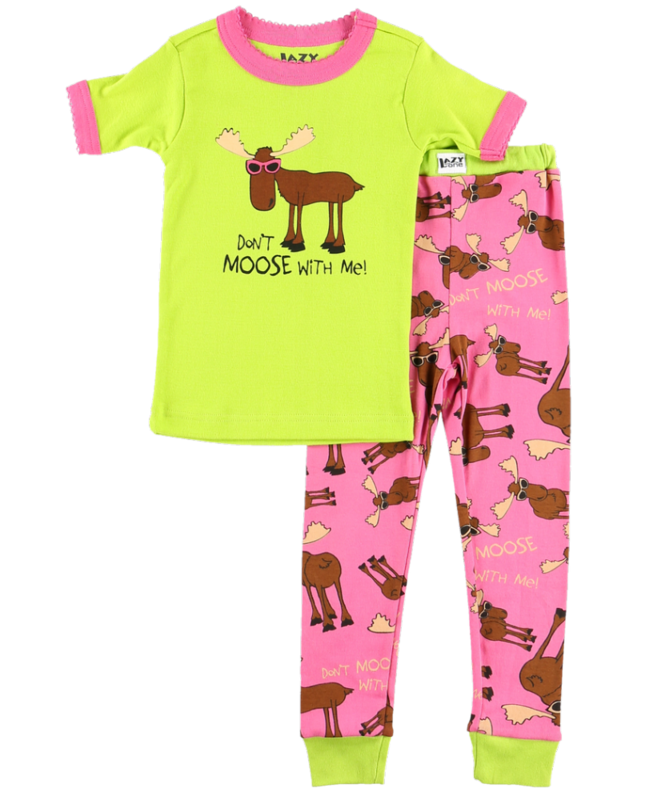 The short sleeve brown pj top has blue contrasting trim and a moose wearing sunglasses on the front that says "Don't Moose With Me". 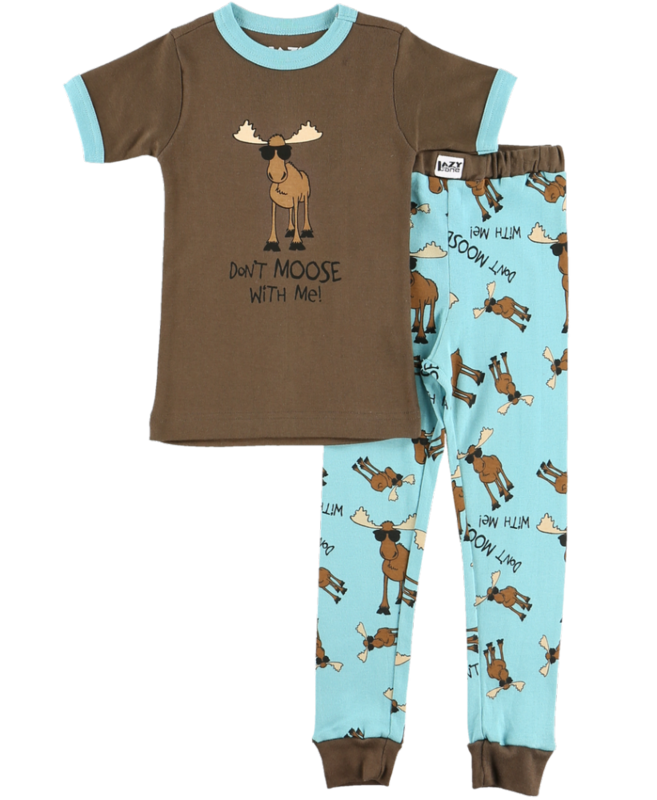 The blue pj bottoms have contrasting brown trim and the moose design is all over them. 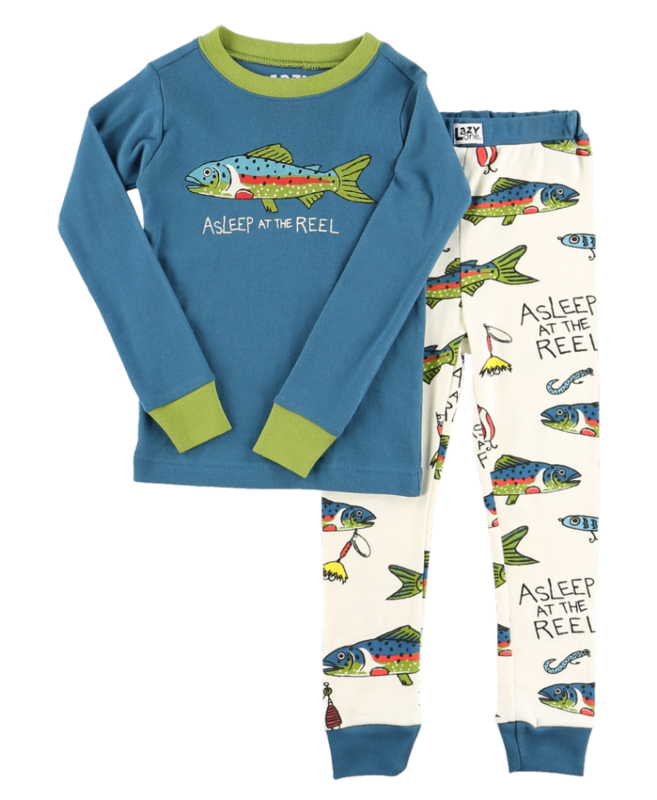 This boys short sleeve pj set is great for colder weather!